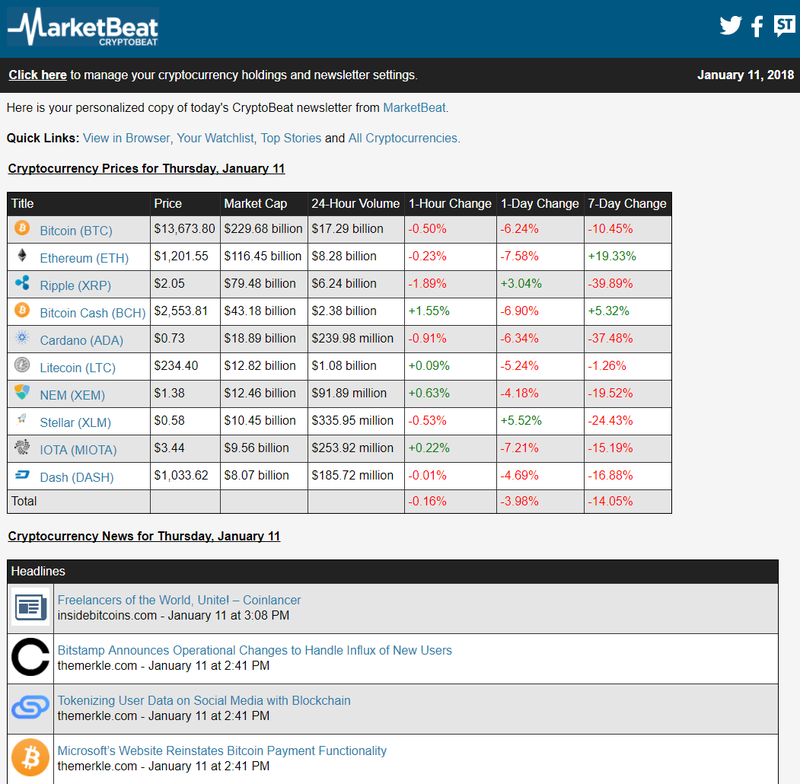 Enter your email address below to receive a daily summary of cryptocurrency news and prices with MarketBeat's CryptoBeat newsletter. Access to our cryptocurrency portfolio monitoring tool. Daily news from reputable cryptocurrency news sources.